Remember when the now disgraced and humiliated Minister of Finance Dwight Duncan started spewing lies and half truths about the Ontario horse racing industry in the spring? The way I look at it, if you have to resort to falsities to make your case, it either means your case is weak and you need to lie, or you yourself are ignorant of the facts. I think it was a mixture of the two when Duncan went on his selling of the end of slots at racetracks campaign. I believe the large motivating factor was that he and Ontario Premier Dalton McGuinty were sucked in to Paul Godfrey's Toronto casino pitch, and desperate to reduce the deficit, Duncan and McGuinty forgot they were working for the good of the people of Ontario when they made the decision that facts and due diligence weren't important. Duncan stressed that the government couldn't afford to give the racing industry a subsidy any longer, calling the revenues tax dollars. During the 14 years tracks and horsemen received a cut of slots revenue, it was clearly a business partnership, not a subsidy, and definitely the tracks were not receiving tax dollars. Even the OLG in their financial reports referred to monies that went to tracks and horsemen as "commissions." When introduced, the Ontario government was looking for revenue sources, and knowing that slots could easily be introduced at established gambling centers (racetracks), and also knowing that if people voted for slots gambling, the vote would be no in most jurisdictions if done outside a track, a deal was struck. 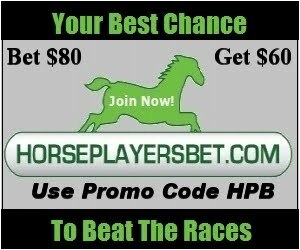 It was also known that cannibalization would occur (the tracks would lose some customers, some of their customers betting dollars, and also lose potential long term customers who would never be nurtured as Horseplayers). Clearly, what we are seeing right now that if referendums (which the Liberal government made "not mandatory") were introduced, there would barely be a casino built in the future outside of a racetrack locale. Even without referendums, the OLG is having a very difficult time selling many towns and cities on the idea of casinos not located at racetracks. I don't think they had a clue it was going to be this tough. I'm sure Godfrey convinced Duncan and McGuinty that expanded gambling outside tracks would be a slam dunk. The reality is that in most instances, the only place a casino is accepted in Ontario is at a racetrack. This fact means that the OLG is reliant on racetracks to keep their revenue streams, and going forward, it means money coming from whatever new deal can hardly be called a subsidy. So what does this have to do with Standardbred Canada? Well, they are using Duncan like tactics when it comes to selling their case. On one point in particular. And that is something I've written about here in the past, the percentage of net revenue that the OLG actually makes, both now, and going forward. My beef with Standardbred Canada is that they perpetuate deceit in stressing that Bingo Halls will receive 47% of gambling revenues going forward, while slots at tracks only resulted in 25% being kept by the tracks, horsemen and municipalities, while also stating that the OLG (the government) made 75% under the old deal. They are blurring the truth in a big way. Bingo halls are to keep 47% of revenues, however, that is after the bingo halls pay the expenses. If you check out page 16 of the OLG Annual Report, you'll find that the OLG pays the expenses at the racetracks for the casino operations, and after they paid these expenses, as well as the 25% the horsemen, tracks and municipalities received, they wound up with around 48-49% net income. My frustration over this came to a head a few days ago, when Standardbred Canada decided not to allow my comment to be added on one of their stories, "Burgess Pens Letter To Auditor General." "Although I agree that the Auditor General should really look into this case, I get tired of seeing the 47% versus 75% case being constantly made. The reality is that after expenses the OLG received around 47-49% net from the Slots at Racetracks Program (thanks to the governments way of overpaying, expenses to run the operations were over 25% on average, which is on par to what they are offering the Bingo Halls right now). The AG should look into the buying of Bingo Halls over the last few years as well as the fact that Bingo Halls have been on a major decline while Slots at Tracks have remained pretty much the same in recent years as far as net income received by the government is concerned. Why the preference to Bingo Halls? And where was the social and economic impact study that should have done before even considering ending the SAR program?" I'm not sure if Mr. Burgess is ignorant when it comes to net incomes or if he just bought into Standardbred Canada's propaganda without thinking about it. It is kind of disturbing that horsemen would be ignorant of these things. Stating the OLG made 75% of slot revenues would be like Dwight Duncan stating that the owner (in harness racing) makes 90% of the purses, overlooking the fact that owners pay day pay, shipping, vets, etc., which in many cases reduces that 90% to a negative number. Anyway, Standardbred Canada deserves the slap. C'mon Man! The much anticipated OMAFRA Report on horse racing's future in Ontario has been completed. It should be public by the end of the month. Listening to an interview of panel member John Snobelen it is easy to be very optimistic to believe that racing in Ontario does indeed have a future, and possibly a very good future. It is my understanding that those interviewed by the panel gave the panel an entire picture of how exactly horse racing works in Ontario as well as giving them a very good idea of how much economic impact horse brings to Ontario, and how disastrous it would be if horse racing were left to stand on its own at this time. Even though Ontario Premier Dalton McGuinty was able to legally coat his Teflon skin with more grease by quitting and proroguing the House, Snobelen made it pretty clear that the report does not need to be voted on. However, McGuinty could easily defer OKing the recommendations until a new leader is voted on, I still think, listening to Snobelen, that the government will rubber stamp the recommendations understanding the sense of urgency here. The report will most likely not be to everyone's liking. I expect the track owners to have most of the profits that were earned via slot revenues to be cut drastically (I expect rental agreements with slot racetracks to be large enough to pay for real track expenses in most cases). And then you have the entitled horsemen (you know who you are), many who won't be satisfied unless they wind up getting 125% of the former deal. I did send in a few of my blog posts in lieu of not being asked to advise the panel directly:) I trust they were read and given serious consideration. In all likelihood, I think it might be realistic to think that we will see something like a three year deal (where the money comes from isn't important only that it will be a true subsidy this time most likely). I think we'll see anywhere between $100 million to $150 million per year go towards purses and breeding. I think we'll see a focus on money going towards Ontario bred/Ontario sired horses. I'm hoping to see major incentives to increase handle as well, something sorely missing from the original slots deal. Although sports betting will likely not be as popular as they think, I do think it will be mentioned as an additional source of revenue (though it on par with slots and can be called a subsidy whenever the government wants to end the deal). Sports betting will be good for a track like Fort Erie, as long as sports betting has the same juice bookies demand, and as long as the US doesn't have legal sports betting. I also expect to see wagering terminals to pop up in more locations as well as a provincial or national horse racing lottery to be recommended. This would actually turn into a potential windfall for the industry, and create new Horseplayers. Speaking of Fort Erie, from what I have heard, the panel is well aware of the necessity of having a B racetrack. Hopefully, Fort Erie will be on the list for a stand alone subsidy, even if it means racing only 60 days a year, it will buy some time for the track to be sold to someone who is interested in horse racing as well as it buys time in case the proposed new Speedway is actually built. I think we'll see a slight shrinking overall, but it might only affect the hit and run outfits who bring in a horse for one big race and then exit stage right. The reality is the industry (harness and thoroughbred) can handle a 20% shrinkage as long as the remaining 80% focuses mainly on Ontario bred and owned horses, or American outfits that set up shop in Ontario. All good for the local economies. On this blog, I've been known to be very critical of how horse racing. It isn't because I like to complain, it is because I love the game and want to see it grow. I don't just focus on the problems, but I also offer solutions. I'm going to diversify my criticism now by identifying problems and also give solutions for the four major sports. I used to be a sports fanatic. I think I may have missed only a handful of Toronto Maple Leaf games on TV from age 4-21. I got into baseball too, not so much as a spectator, until the Expos got a franchise and had some TV exposure other than Saturdays when I was usually at the track with at least one of my parents. I always was an NFL fan, never the CFL (inferior game with with inferior rules). And same with basketball, which was the only sport I actually excelled at (trying not to be too modest). I started betting on sports in the mid 70's while in my mid teens. It made the games more interesting, and I found it to be a good connect since I was always into stats. My betting on sports and poker probably hit a peak by the time I hit 25. I still bet a little but focused more on just horse racing. I started losing my interest in 3 of the major sports (hockey, baseball, and basketball) by the time I was in my late 30's. A lot of it had to do with other priorities and being tired of spinning my wheels when I bet the odd game, but it also had to do with the games themselves and player loyalty. The blame shouldn't be on the players, but the system that allows players to be lured to play for other teams. When the Blue Jays won their last championship and half the team exited for greener pastures, I gave up on baseball. There were other reasons too, which I'll cover. As for hockey, I gave up on it when the Leafs traded Steve Sullivan. I've always been a big fan of the finesse player and hockey seemed to be focused on size. To me, it lost its personality. The overtime rules also made me grimace. I lasted with basketball longer. But when Vince Carter whined his way out of Toronto, I gave up on it as well. Again, too many roster changes for my liking all in the pursuit of the green back. The NFL however has been a staple in my life and continues to be. I don't bet on it anymore, except for Fantasy Football (which is a form of betting), that is. Players can still stick with a team for their entire career, or at least most of it. I'm not sure why that is (I don't look really look at the rules of free agency in each sport or salary caps, etc. ), but the other major sports should adopt the same exact policies that the NFL has. The NFL has never been shy about making changes to appease the fans and also to make the game safer for the players. I'd say that integrity of the sport is well looked after in all four sports (on a scale of 1 to 10, the NFL would be a 10 and horse racing would be a 1). Solution: No point for a tie. No more ties ever. Play sudden death 3 onto 3 (not including the goalie) until a goal is scored. No friggin shootouts either. 3 on 3 play almost guarantees the game won't go on forever either, which I think is one of the major concerns the league has. It will also force teams to have finesse players in the lineup. Flaw: The strike zone and the foul lines. I sat behind the plate of a Blue Jay game and couldn't believe how far out to lunch the umpire was. His strike zone was a good foot to the left of the plate. We have the technology available, strikes and fouls should not determined by subjectivity but objectivity. I don't mind beeps when a ball ends up in the catchers glove to determine whether that ball was in the strike zone or not. Laser technology needs to be implemented to win me over. Flaw: Too many dunks. James Naismith wouldn't even imagine dunking when he invented the sport, and even though it was cool in the early 70's it makes the game boring now. Solution: My gut reaction has always been to raise the basketball height to 11 feet, but that is just wrong, plus it will discourage young kids from ever playing because the height of the basket will created too much awkwardness when it comes to learning the game. I think a better proposal would be to make a dunk shot worth only one point. I really think that would stop dunking and make the game more pure. Flaw: Tough to find a flaw, but I did. Extra points are too easy. So far this year, there has been only one miss (not sure about how many non attempts due to bad snaps, but it isn't more than a handful). It is a scoring play that totally lacks drama. Solution: Kick the extra point from the 23, making it a 40 yard kick. Sure, most will be converted, but many will be blocked or missed. No more gimmes. As for the two point conversion, yes, it is a little more exciting, but it rubs me the wrong way as it takes the kicker out of the equation. I like the concept of opting for two points, so the simple answer is to give the team the option to convert a kick from the 35 (a 52 yard boot). Oh, and I hate the freezing the kicker nonsense. It makes the game more juvenile than it has to, kind of insults my sports intelligence. Plus, I don't think it is advantageous at all (I think the percentages are pretty constant with or without the freeze). Unless it is to prevent too many men on the field, I would bar the opposing team from calling a time out to freeze the kicker.